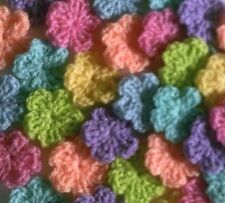 – especially my other crochet flowers & leaves. scrapbooking - add a bead or button to the centres to personalise your flowers ©. William Morris knitting crochet hook needle pencil holder roll case organizer. New 8pcs Quality Plastic Knitting Needles Craft Set 25cm x 4mm - 5mm - 6mm - 8mm. Each Knitting needle is 25cm or 10" long. Needles are made of a durable plastic. All orders placed during the. Ideal for craft projects, knitting, sewing, crochet. Here we have 3 x Aluminium crochet/knitting stitch holders. Small 65mm x 15mm. Large 167mm x 25mm. Perfect stitch holders set for knitting or crochet. especially in "top-down" knitting projects or any type of yarn craft. to use the three needles cast off. The stitches holders work great on the scarf or icelandic sweaters. 11 pairs different sizes(22pcs) X single pointed knitting needles. Highly polished, smooth surface, no barb，light and durable. There are digital marking at the top of all knitting needles. Enjoy a unique knitting experience with these Stainless needles. Handy neck soft Chord. Knitting Needle Row Counter. KnitPro Stitch Ring Markers. Stitch Ring Markers from KnitPro. - Will fit in a purse or small knitting bag. - 20 x Small (6mm). - 10 x Large (16.5mm). Red, orange, yellow, green, blue, purple, lilac, candy pink, baby pink and white. The perfect gift. Made with 100% acrylic yarn, with long tails for easy sewing. It is knitting a good helper,also a perfect gift. Material: plastic. It is small, portable, very practical. Perfect for adding to granny squares, cushion covers, bags, hats, blankets etc. 10 Handmade Crochet Flowers. Tails have been left on for sewing in. Made with acrylic dk yarn. Wood Sock Blocker (adult UK size 5-7) . ONLY the sock blocker is getting sold. They are made from 3mm thick wood. After the making of the sock blocker, its surface is sanded down. 1 blocker supplied. Digital LCD Electronic Finger Hand Tally Counter. It is universally used as a counter in the public place such as in the dock, the bus station, also in daily use for counting the number. Counter Speed: depend on human's reaction. Knitters Needles. 1 needle large blunt needle. All you need are yarn, string and scissors to complete your pom-pom and fluff balls. Let's creat the best and funny work with the excellent knitting loomg. 4 Sizes Pompom Maker. Colour:Blue,Green,Yellow,Pink. Bigjigs French Knitting Doll - NEW! French Knitting Doll. Made from high quality, responsibly sourced materials. Perfect stitch holders set for knitting or crochet. Every size is useful, especially in "top-down" knitting projects or any type of yarn craft. The stitches holders work great on the scarf or icelandic sweaters. Why not add us to yourfavourites list ! Other Information. Easy to Assemble - It only takes a few minutes to assemble the weaving loom kit. Material: Beech wood. Size: length width: 40.8cm 35cm/16.06 13.78in. (Weaving a wide 31.3cm woven and tapestry). Wooden comb 1. Multiple Coloured Knitting Needle Set. Made from quality aluminium material. Length per stitch holder 13.5 cm Or 135MM Nappy pin like. 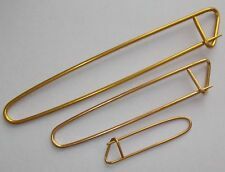 Stitch holders are tools that are used by knitters to hold open stitches when not being used by the needles. They can be used when finishing a side of an item say a jumper or when preparing for the kitchener stitch. Use this set to create pom pom balls all by yourself! Fun and easy pom pom making tool. 1 x Set of 4 Pom Pom Maker. Four sizes: 38mm, 48mm, 68mm & 88mm. Great gift idea for yourself or friend.